The Titanium Tac Tool from Andre de Villiers gives you everyday utility with the bottle opener, four hex wrench sizes, screwdrivers, pry tip, and wire breaker cutout. In addition, its prominent finger hole enables a sturdy grip for self-defense applications. 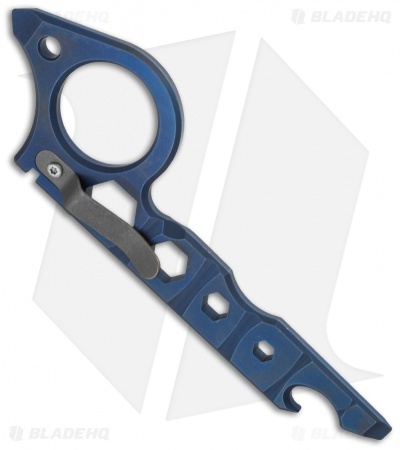 The Tac Tool has a blue anodized finish and 0.20" thick titanium construction. It is outfitted with a flush-mounted pocket clip. 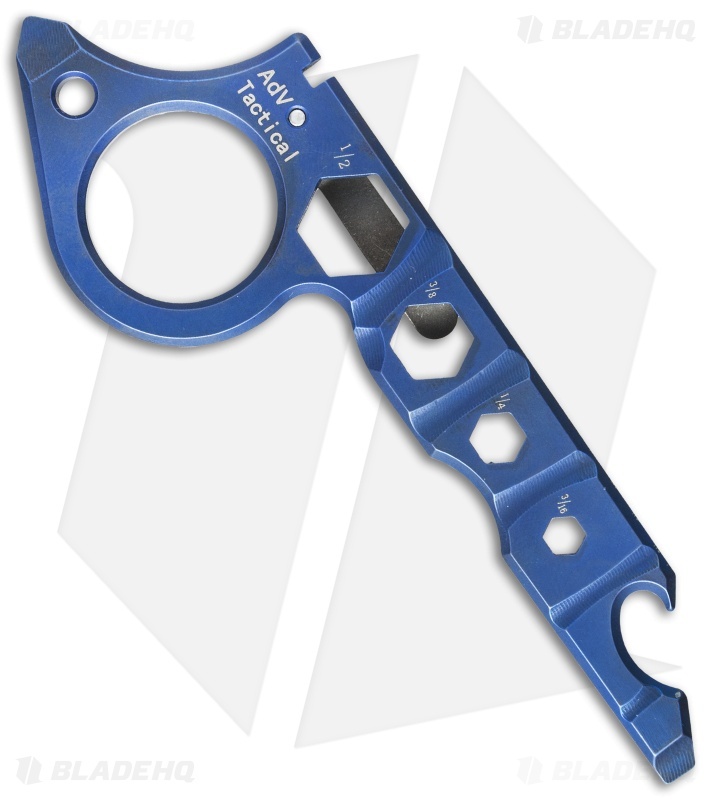 Due to the unique anodized finish, the actual Tac Tool may vary somewhat from what is pictured.